Following his one term as president, John Quincy Adams served in the House of Representatives for 18 years. If you visit what is now called Statuary Hall in the U.S. Capitol and stand on the plaque that marks where his desk once rested, you’ll discover that you can hear everything people say — even whisper — from clear across the room. Legend has it that Adams eavesdropped on everyone else in the House without ever needing to stand. The truth is that when the House met in Statuary Hall, there were carpets covering the marble floors, which probably killed the “whispering hall” effect. But the plaque really is where Adams sat, and the Hall really was the meeting place for the House of Representatives until 1864. A visit to the U.S. Capitol is as much about living history as it is about classical architecture and 19th century art. Take the Rotunda, for example. It’s not just a dizzyingly huge space (a round hall 96 feet across, beneath a dome 180 feet high), adorned with massive paintings depicting scenes of early American exploration and the American Revolution. It’s also the spot where 31 of the country’s most revered citizens (including Speakers of the House, Senators, military heroes, and 11 presidents) have lain in state. For an even closer brush with American history — and current American power — be sure to get a pass to watch the House or Senate in session. Much of the day-to-day business can be mundane; major legislation doesn’t come up for debate every day, after all. But it is nevertheless a thrill to watch American democracy in action. Visitors to the Capitol begin their tour at the brand new Capitol Visitor Center, an underground museum offering exhibitions on the history and architecture of the Capitol, two gift shops, and a 530-seat restaurant. You can come to the Visitor Center any time it is open, but you must reserve a spot on a guided tour to enter the Capitol itself. On weekends, these slots can fill up weeks in advance, so it’s a good idea to book ahead of time. There are two ways to do this. You can join a tour led by the U.S. Capitol Visitor Services; go to http://tours.visitthecapitol.gov to make a reservation. Or you can call or e-mail the office of your Senator or Representative to see if you can join a tour led by a member of his or her staff. The office of your Senator or Representative is also the only place you can get a pass to enter the Senate or House Gallery to watch Congress in session. Visit www.house.gov or www.senate.gov to find contact information for your local Representative or Senator. 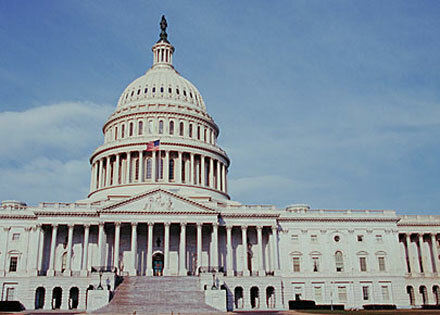 Note: The U.S. Capitol Police are authorized to make exceptions if a prohibited item is determined to be necessary and required to serve child care, medical or other special needs. Hours: The Capitol Visitor Center is open 8:30 a.m. to 4:30 p.m. Monday through Saturday, except for Thanksgiving, Christmas, New Year’s Day, and Inauguration Day. Tours depart from 8:50 a.m. to 3:20 p.m., Monday through Saturday. Parking: Parking is not permitted within two blocks of the Capitol. The closest parking facility is at Union Station, about six blocks north and four blocks east. Metrorail: Blue and Orange Line stops for Federal Center, or Red Line stop for Judiciary Square.